Click on the button at the top of this page to download Default Folder X 5, or use the links on the right to find out more. Note that there is a $14.95 upgrade fee for version 5 if you bought version 4 before June 1, 2015. Default Folder X 4.7.4 can not enhance your Open and Save dialogs if you're running El Capitan or higher and have the System Integrity Protection feature turned on (and it's turned on by default). 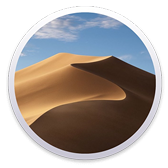 System Integrity Protection ("SIP" for short) is a feature introduced in El Capitan that prevents anything from modifying the basic components of macOS, even if it's just done temporarily in memory. In the big picture, it's a good thing because it makes it very difficult for computer viruses or anything else to harmfully change or corrupt your system. Unfortunately, it also keeps helpful applications like Default Folder X 4.7.4 from modifying many applications. Since Default Folder X 4 was designed to work by loading a plugin into every application that it enhances, and that's prevented by SIP, it won't work in any Apple-supplied applications when SIP is turned on. In contrast, Default Folder X 5 was designed to work in a completely different way and doesn't require a plugin, so it works with SIP. If you're running El Capitan or higher, you should upgrade to Default Folder X 5. If you don't want to, you can run version 4.7.4 on your system by turning off System Integrity Protection, as detailed below. Restart your Mac in Recovery Mode. To do this, choose Restart from the Apple menu, and as soon as the screen turns black hold down Command + R on the keyboard until the Apple logo appears on your screen. Select Terminal from the Utilities menu. Choose Restart from the Apple menu. To turn System Integrity Protection back on, follow the procedure above but type csrutil enable in step 5.